« What Makes an Archive? One of the aims of the first workshop held in Reading in June 2012 was to identify solutions, action points and guidelines for addressing the issues surrounding the access to and management of diasporic archives. 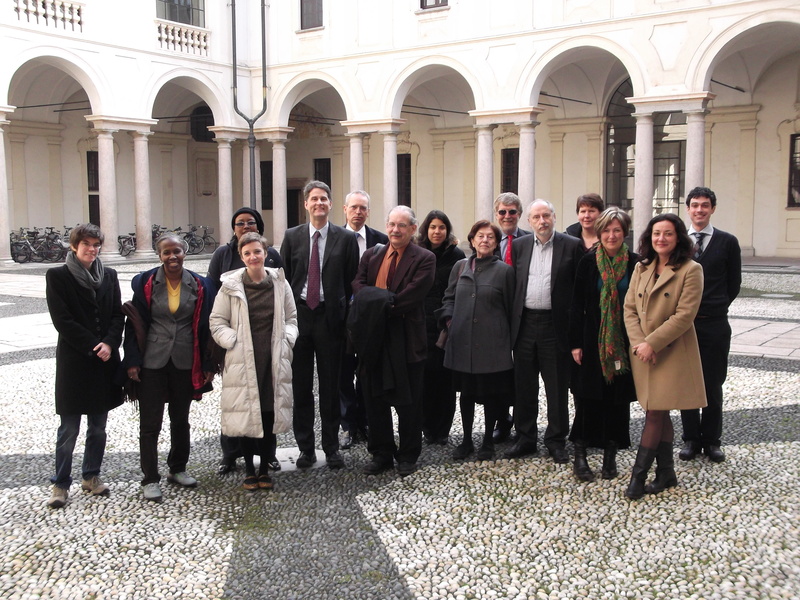 The second workshop held in Pavia (28 Feb – 1 Mar 2013) has provided the chance to take up the discussion where it was left in Reading and tackle the issue of managing and facilitating access to split and mirror collections in greater depth. The concrete value of the network was demonstrated in the workshop’s opening panel, which described the developments made in the few months between the Reading and Pavia events, in the cases of archives in Trinidad and Tobago and in Namibia: the role of the Diasporic Literary Archives Network in this process was recognised as crucial, for it supported the expedition of action plans to identify solutions to improve the situation of archival collections in Trinidad and Tobago, and in the Caribbean region more generally, and to strengthen the archival culture and foster the need for a strong partnership between authors and national archival institutions in Namibia. During the two-day workshop, the discussion around the topic of split collections involved the participation of different local and international stakeholders and experts. In addition to the delegates from the network’s partner institutions, some of the most important figures of the Italian academic, archival and publishing world were present. 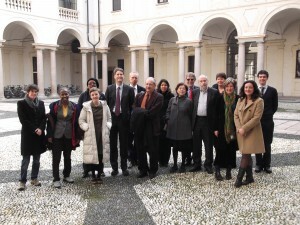 Amongst these, representatives of libraries, archives (including the Centro Manoscritti of Pavia, which hosted the workshop, the APICE of the University of Milan, the Gabinetto Viesseux of Florence, one of the most important Italian cultural institutions, and the Venetian archive of the CISVe) and publishing houses (including Mondadori and Rizzoli) gave comprehensive overviews of their archives and focussed on some of their split collections, highlighting the difficulties and successes in managing these often problematic typologies of authors’ papers. The speakers contributed to the conference with their first-hand experience about the problems deriving from split collections in their everyday work with archives, bringing along examples and case studies and proposing solutions. This meeting, moreover, proved to be very useful for getting an overall idea of the current situation of archives in Italy. One of the central topics of the workshop was that of the very definition of a “split collection”, in which various concepts come into play. Collections can be split physically, i.e. between different collecting repositories or even within the same institution. In this respect, it was very interesting to hear how the papers of Elio Vittorini, one of the most important writers and cultural personalities of twentieth-century Italy, are to be found in two different archives (his personal one and his publisher’s (Bompiani), which are both preserved in the same institution (the APICE in Milan). The importance of publishers’ archives was highlighted, as they often supplement the lack of accessible authors’ archives and are precious tools for preserving cultural memory of publishing culture in individual countries. Archives can also be split physically by accession, relocation, and between paper and born-digital material; collections may also be split in a non-specific physical sense, as they may be managed according to different policies in terms of ownership, collecting strategies or agreement, accession, conservation, or even national interest. Moreover, it was noted how it is the very concept of location which perhaps needs to be reconsidered: in referring to the diasporic nature of authors’ papers, not only should we take into consideration their dispersion in private and public archives (amongst which libraries, publishing houses, heirs’ repositories, etc. ), but also in a broader sense the places in which the works were crafted. The workshop had a strong Italian focus, especially in the first day, when the presentations of the main Italian archives took place. The array of angles and perspectives on the various Italian archives, together with the sharing of ideas and theoretical approaches on the management of split archives in the US and Britain allowed the identification of common problems and discussions around possible solutions. Many delegates agreed on the need of a census of the Italian archival situation, which would map on the one hand all the places preserving literary archives, on the other all the archives keeping the papers of a single author (in both senses some Italian online projects were mentioned, such as archividelnovecento.it and siusa.archivi.beniculturali.it); such a mapping would undoubtedly bring about juridical, organisational and philological issues, but it would definitely be a first and essential step towards a concrete solution to the problem of identifying where authors’ papers are being held within Italy.